Liberal girls earned third in Class 5A last year and bumped up to 6A this winter. The Redskins, long a 5A school, have been sixth in both polls. The Redskins rolled over Holcomb, 66-19, to start the season. Junior point guard Katie Horyna is a returning first team all-state 5A pick, while junior 6-foot post Machia Mullens has earned all-state in the past. Senior Whitney Hay is a strong guard. Liberal forced 13 turnovers and held Holcomb to one second half field goal. Horyna had 25 points, while Mullens delivered 14 points and eight rebounds. At the 810 Varsity Tipoff Classic, Lawrence boys remained No. 2 in 6A behind Blue Valley Northwest after a season-opening road 62-51 loss to Park Hill South, No. 5 in Class 5A. Zeke Mayo paced the Lions with 18 points. Lawrence went 3 of 17 from long range. Savonni Shazor suffered injury in the fourth quarter and delivered 12 points. McPherson girls, the defending 4A-I champions and ranked third in 5A, played their season opener without longtime successful coach Chris Strathman and defeated Andover, 55-44. He is out the rest of the semester after he found a cancerous tumor in his colon and went into surgery Thursday. McPherson High School tweeted the tumor was successfully removed and no new additional cancer was found. Strathman and his family watched the game from the hospital as Andover streamed the contest online. Emma Ruddle paced McPherson with 12 points, and Hannah Hageman, Grace Pyle and Riley Hett each recorded 10 points. In one of the biggest first week results, Andover boys defeated McPherson, 66-64, in overtime. The Bullpups were ranked sixth in 5A and fell out of the poll this week. McPherson received 29 points from Jake Alexander. Andover had 24 from Harper Jonas, 17 by Andrew Gagnon and 11 from Jack Johnson. Andover held McPherson without a shot in the final seconds. St. Thomas Aquinas girls captured the Hays City Shoot-Out that concluded Saturday. Aquinas, the defending 5A state champions, defeated Manhattan, 48-36, in the final. Manhattan has been seventh in the Class 6A poll both weeks. The Saints beat Millwood, Okla., 58-35, in the opener and 71-41 versus Great Bend in the second round. No. 5 Maize boys started with a 69-42 victory against Goddard Eisenhower. The Eagles outscored Eisenhower in every quarter, including 16-10 after the first and 24-14 in the second. Caleb Grill, a South Dakota State signing, finished with 10 points on 4 of 14 shooting. However, senior Brandle Easter recorded a breakout game with 24 points on 10 of 11 shooting, and senior Devon Koehn had 16 points on 6 of 10 from the field. Jordan Vincent, an Eisenhower standout, paced the Tigers with 17 points. In a matchup of ranked 5A boys’ squads, Andover Central defeated Maize South, 71-62. AC has has been fourth in both polls, and Maize South slipped from eighth to tenth. AC returned 92 percent of its scoring and 86 percent of its rebounding from back-to-back final four teams. Senior Braden Belt recorded 28 points, and Xavier Bell had 19 points. Belt went 8 of 12 on 3s as the Jaguars sunk 13 of 23 3-pointers. The Ulysses girls were 14-8 and ranked seventh in the final Class 4A, Division I poll last season, though were unfortunate to be in the same sub-state as eventual state titlist McPherson. Ulysses returned six seniors this winter and opened with a 50-20 victory against Cimarron. Seniors Madison Haney and Gina Ballesteros both tallied 13 points. Ulysses will be at the Blue and Red Classic this week in Hugoton. Ulysses could see Hugoton, which is ranked seventh in Class 3A. Miege girls, ranked No. 1, opened with a 64-35 victory against St. Joseph (Mo.) Central. The Stags led 13-11 after the first quarter before a 26-9 second quarter margin and 18-6 in the third quarter. Payton Verhulst delivered 15 points and 10 rebounds, and Johnni Gonzalez had five assists. Miege is headed to the Arkansas Tournament of Champions this week, the first time the Stags have played in the tournament. The Circle girls opened with a 67-32 victory versus Rose Hill. Circle, ranked third in 4A behind Bishop Miege and KC-Piper, led 17-3 after the first quarter. Senior Kelsie Kelly and junior Mallory Cowman led with 11 points, and senior Jordan Hammer had 10. Hammer recorded 12 rebounds, and Cowman had 10. Senior Carissa Beck, one of the state’s top shooters, had eight points on 2 of 5 from long range. Circle shot 6 of 11 (55 percent) on 3s. The Labette County girls, ranked fourth in 4A, moved to 2-0 after it graduated Tristan Gegg, a 2,000-point scorer who averaged 27 points as a senior and is a key player as a freshman for Pittsburg State University. LC beat Mulvane, 44-26, in the opener of the T-Bird Classic. Justice Brackney led with 12 points. The Grizzlies will face Circle in Friday’s semifinals in a matchup of ranked teams. LC has held both teams this year under 30 points. Unranked Mulvane boys defeated Labette County, 80-70, at the T-Bird Classic at Circle. Mulvane’s Drew Ellis recorded 38 points, and Ethan Jameson had 20. Clayton Moore paced LC with 21 points. Phillipsburg boys bumped one spot from ninth to eighth in 3A. The Panthers are the defending 3A runner-ups. A week after the Panthers went 13-0 and won the Class 2A state football title, Phillipsburg opened with a 50-39 home win versus Ellis, which is expected to be a solid team. Senior point guard Trey Sides, the returning 3A Player of the Year delivered 13 points with four assists and three steals, but junior Austin Miller collected a team-high 14 points with six rebounds on 6 of 8 shooting. The 6-foot-3 Miller is one of several players expected to step up this season after he averaged 2.4 points and 1.7 rebounds last year. Miller set a career-high in points and was one of his career best for rebounds. Holcomb boys, which had to replace its top-10 player and all five starters from last year’s 4A-II state runner-up squad, slipped from fifth in 3A in the preseason to ninth this week. The Longhorns lost, 64-55, to Liberal. Holcomb led 29-26 at halftime, but Liberal went 15 of 20 from the free line, while Holcomb was just 4 of 10. Liberal had eight turnovers, six fewer than Holcomb. The Longhorns play host to the Clarion Classic this week, which is co-hosted by Garden City, Holcomb and Scott City and brings teams from four states. One of the biggest movers came with the Smith Center girls. The Lady Red were ranked ninth in the Class 2A preseason and moved to fourth in Monday’s poll. In the season opener last week, SC defeated Plainville, 71-49. The Cardinals feature standout junior point guard Aubree Dewey, one of the state’s leading scorers. The Lady Red outscored Plainville in every quarter and led 20-11 at the end of one. Dewey finished with 30 points, and the Cardinals forced 17 turnovers. On Monday, SC opened the Amos Morris tournament in Russell with a 51-28 victory. The game was tied at 11 after the first quarter before SC outscored Ellsworth, 15-6, in the second quarter. Coach Nick Linn, also the longtime volleyball coach, is in his 30th season with the Lady Red and had long advocated a pressing style. SC turned over Ellsworth 26 times and received 15 points and seven rebounds from Tallon Rentschler, 12 points and five assists from Bree Frieling and 10 points from Lizzy Pfortmiller. SC will get Central Plains, five-time defending state champions and featuring junior point guard Emily Ryan, in Thursday’s semifinals. Lakin boys, unranked in the preseason, moved into No. 9 in Class 2A, with a 76-65 victory versus Southwestern Heights. The Broncs pulled away after the game was tied at 58 at the end of the third quarter. Lakin had four players in double figures with sophomore Dominick Daniels (team-high 19), and Juan Banuelos, Servando Gonzalez and Jaylyn Hash. Lakin had graduated seven of its top-eight scorers, including Diego Davila, who led with 21.6 points a contest. Meade, 14-8 last season with coach Aaron Dardis, had a solid start with a 61-25 victory against Elkhart in a Hi-Plains League contest. Vance Shewey delivered 18 points, and Garrett Gillum delivered 15. This week, Meade is at the Bluejay Invitational Tournament in Cimarron. Satanta, which 21 points from Gabe Salas in a 51-42 loss to South Central, will also be at the tournament. TMP boys and girls each finished 1-2 at the Hays City Shoot-Out hosted by crosstown Hays High. The Monarchs, generally the smallest school in the tournament, both beat 5A Great Bend in their final contest. The TMP boys returned zero starters from a 17-6 squad that reached the Class 3A state tournament. Coach Bill Meagher, the former assistant, took over for Joe Hertel, the previous coach for 33 years. Meagher’s first win came in a 50-47 victory against GB. Unranked Plainville boys, a 2A state qualifier last year, opened with a 64-62 victory against Smith Center and received 40 points and 15 rebounds from junior Jared Casey. Maranatha Christian Academy was ranked third in 2A preseason, but has dropped out of the poll after a 78-55 loss to St. Pius (Mo.) X. Last season, MCA had transfer Jonathan Jackson, who averaged 21 points a game. Senior Jax Holland had 24 points on 10 of 20 shooting, but Jackson did not play in the contest. St. John boys, ranked third in 1A, opened with a 66-34 victory against Stafford. Senior Mason Osborne had 24 points on 7 of 15 shooting, and junior Tanner Halling recorded 21 points on 8 of 13 from the field. Osborne recorded five assists and five steals. South Gray, off a 26-0 season, started with a 90-26 victory versus Bucklin. The Rebels, ranked fourth in 1A, led 36-6 after the first quarter. Clifton Miller scored 27 points. SG shot 58 percent from the field, including 7 of 13 (54 percent) from beyond the arc. Beloit/St. John’s-Tipton boys opened with a 62-24 victory against Natoma. Four players scored in double figures. 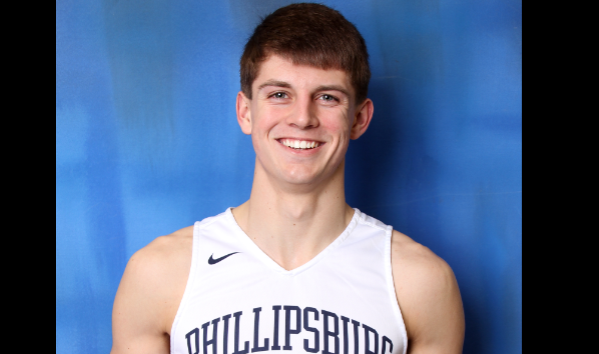 Senior Kail Dubbert recorded 18 points on 7 of 10 shooting. Brady Palen had 15 points on 7 of 10 shooting. Junior Braden Dameron tallied 12 points, while junior Brandon Bates had 10 points.